The Sligo Boat Tour is an amazing experience ideal for Hens and Stags visiting Sligo. 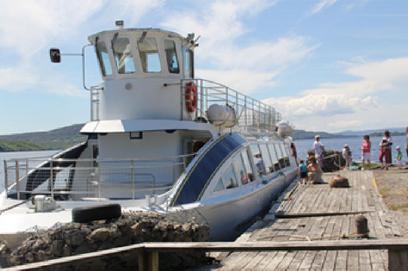 The tour will take you on the Innisfree Tour Boat on a most memorable cruise on Lough Gill. The Rose of Innisfree Tour boat operates on the picturesque Lough Gill, in counties Sligo & Leitrim, Ireland and during this tour you get to experience some of the most spectacular scenery, spoken so fondly of by the poet W.B.Yeats. All from the comfort of this 72 seating magnificent vessel. Commentary on board. Full bar facilities is also available.